You take your kiddos to see Santa, they tell him what they want for Christmas and then they wonder if he’ll really remember. 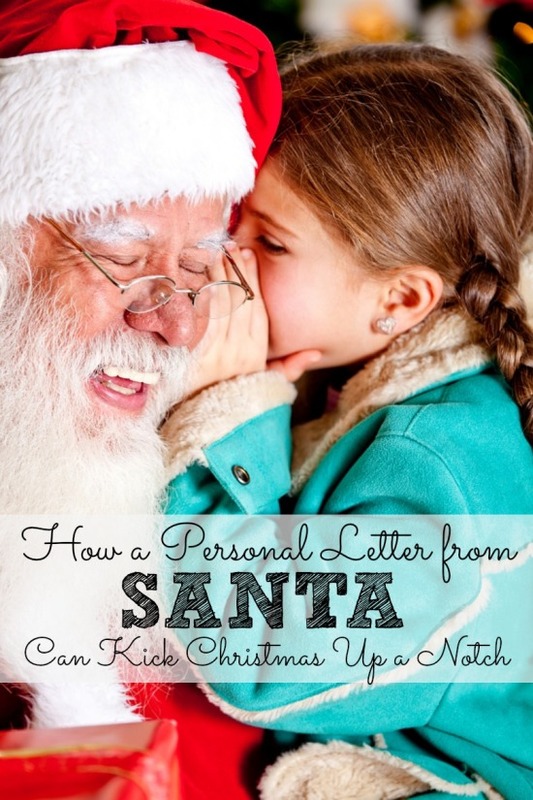 Let’s kick this Christmas up a notch with a Personal Letter from Santa! It puts the magic of the Holiday season in your kids hearts, plus the excitement they get when opening the letter is priceless! I know this first hand when my youngest recently opened his letter. I ordered The North Pole Package from SantaSentMeALetter.com, which is their most popular package. The package includes a personal letter you create yourself. No worries on writing up some fabulous sounding letter from Santa! They have many choices for you such as Christmas Cookies, Nice List and New Surprises already written and you just add in the personal touches. The entire package came in a brown paper envelope, stamped from the North Pole with a label on it that says “Believe” and has your child’s name on it. I was so impressed with the packaging and my son thought it was pretty cool. He read his letter (with a smile) and is now carrying around the key in his pocket. The key is not a dinky little plastic key. It’s a metal key and is very well made. What a fun keepsake! There are 4 packages total to choose from and the entire process of getting the letter ready took me 5 minutes. How fun would it be to give your child a package from Santa that includes a personalized letter? You’re in luck! I am giving away TWO Santa Sent Me a Letter Packages. Two winners will receive the Original Letter from Santa package. Sound good? Great! Enter the giveaway via the form below. Good luck and Merry Christmas! *I received a sample in order to facilitate this post. Next articleBoots, Boots and More Fall Boots – Shoes for the Family! I still believe in the spirit of Santa.